BERLIN – Today, at an international meeting of student advocates for expanded access to academic research, two undergraduates from Great Britain announced the highly-anticipated launch of The Open Access Button – a browser-based tool to map the epidemic of denied access to academic research articles, and help users find the research they need. University students David Carroll and Joseph McArthur created The Open Access Button in response to their own frustrations with gaining access to the results of academic research. 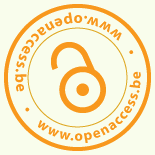 Previous Previous post: Open Science: the key to more scientific integrity?